Join us for our annual gala fundraiser…Under the Big Top! Don’t miss this always amazing event – cocktail reception, sit down dinner, trip and jewellery raffle, silent and live auctions, dancing and more! 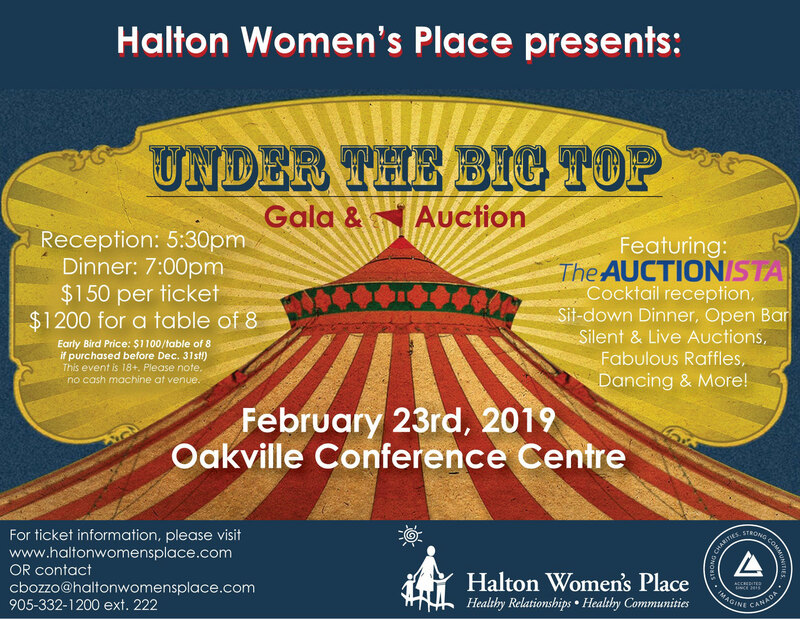 Contact kmckenna@haltonwomensplace.com for more information. For Sponsorship Purchases, click here.